A quitclaim deed in Arizona is a very common method that’s used to assign ownership of a property from one person to another. These types of deeds are popular for situations where a property is being transferred from a person or family to a trust, from person to person, or in other situations. But before you decide to this type of real estate instrument to transfer ownership, it’s important that you understand these four things about quitclaim deeds in Arizona first. When Should You Use a Quitclaim Deed in Arizona? 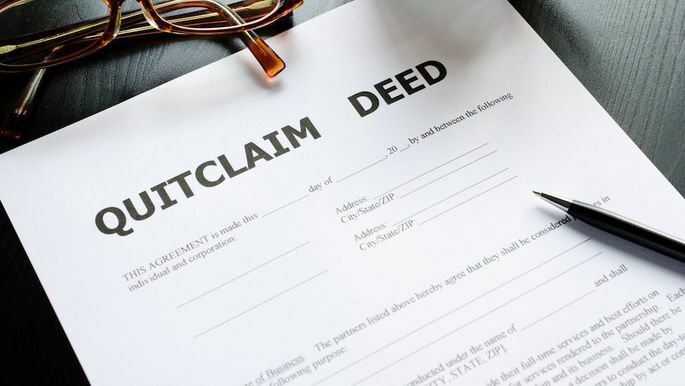 One of the most common questions about a quitclaim deed in Arizona is: When should I use one? The simple answer is that there are a variety of situations where they might make sense, but that first you should have your lawyer provide counsel. Types of situation where a quitclaim deed makes sense include: When multiple people own the property and the ownership is being consolidated to fewer owners; in the cases of a divorce; and when a property is transferred to something called a “living trust,” which is a common way to protect real estate assets of non-dependent senior citizens. Using the standard quitclaim deed offered by the Arizona County Recorder’s Office, in tandem with a notary public and witnesses, suffices state requirements, once that notarized document has been properly filed and accepted. Commonsense should tell you that no legal template can replace the experience, education and understanding of the law that you’ll get from a qualified real estate attorney in Arizona. Certainly, a quick online search will reveal plenty of templates that promise to save you time and money. But without proper counsel, important things can be overlooked, resulting in setbacks, legal issues and even tax implications that could be avoided otherwise. Using a quitclaim deed in Arizona is certainly not without its risks. These types of deeds do not guarantee title. By comparison, a warranty deed has six covenants of title that offer greater protections to buyers and sellers alike. What’s more, a quitclaim deed provides no assurance of a clean title, and only records the transfer of the deed without warranty and with limited remedy. In most cases, a general deed or warranty deed is a better option because of the greater protections that these types of deeds afford. Another thing to be mindful of with quitclaim deeds in Arizona are tax implications. Using this deed does not relieve the title of any liens that may be placed against it. This means that without the proper due diligence, the person taking ownership of the deed could also be inheriting any associated tax liens from unpaid property taxes. While these types of deeds certainly have their place and practical usage, your best bet is to be smart and consult with an experienced Chandler real estate attorney to make sure that the transaction you’re consider is in your best interests.